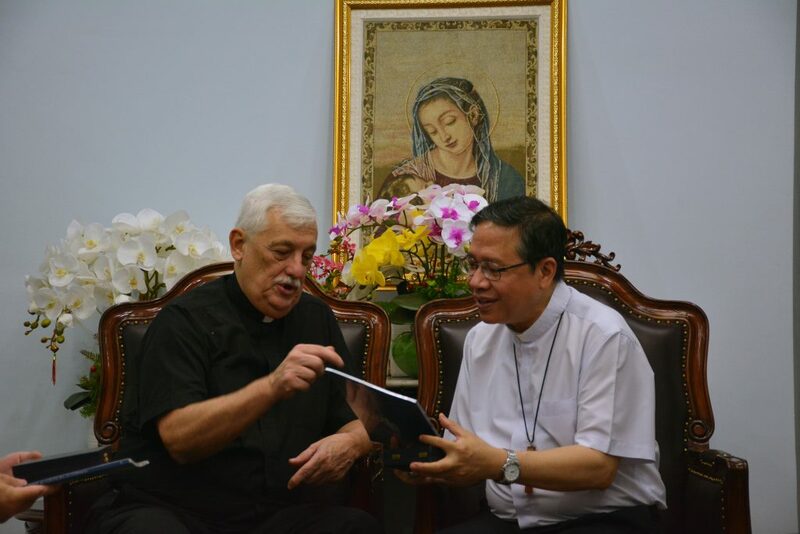 On the morning of December 05, 2018, Fr General first met with the Most Rev. Joseph Do Manh Hung, Apostolic Administrator of Saigon Archdiocese and the Most Rev. 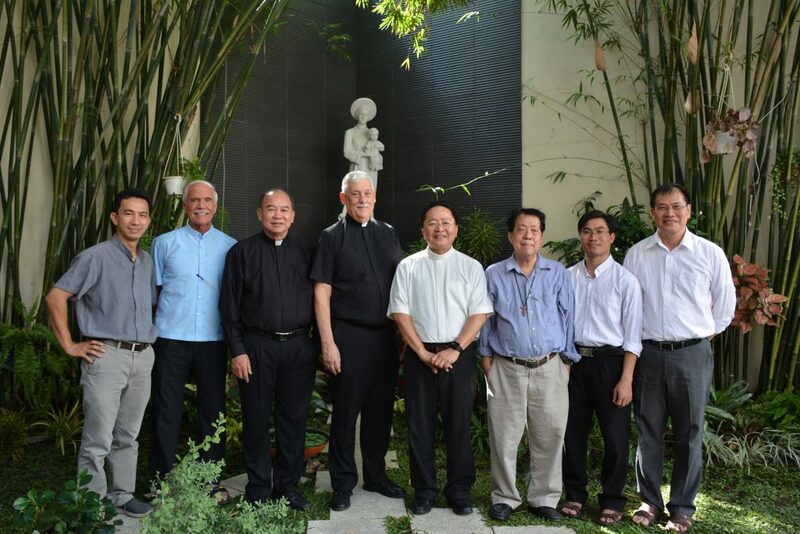 Louis Nguyen Anh Tuan at the Archbishop’s Residence, then visited the first Jesuit house of the Vietnamese Province which was established in 1968 after the return of Jesuits to Vietnam in 1957. Fr. General began the day meeting with two bishops of Saigon and was also joined by his two assistants, Fr. Provincial of Vietnam and his consults. 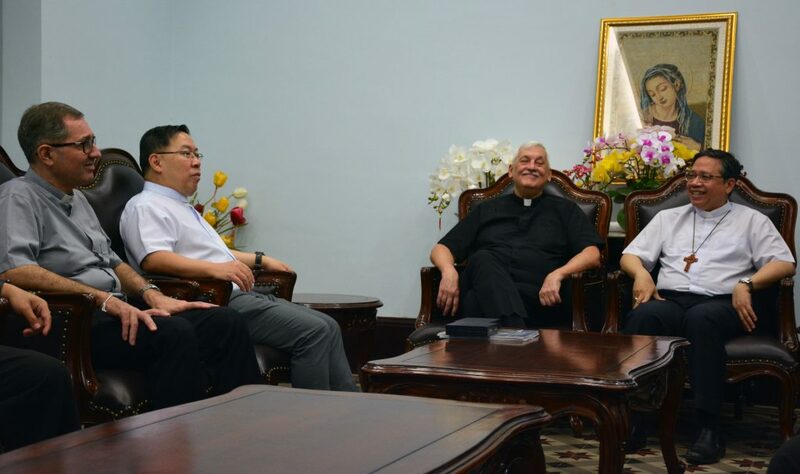 During their one-hour conversation, they talked about the situation of the Catholic Church in Vietnam as well as contributions of the Jesuits to the development of the Church and the society in Vietnam. They also shared about challenges and difficulties which have currently affected evangelization not only outside the Church but inside as well. Before leaving the Archbishop’s Residence, Fr. General visited the two-century old chapel located in the compound of the Archbishop’s Residence. 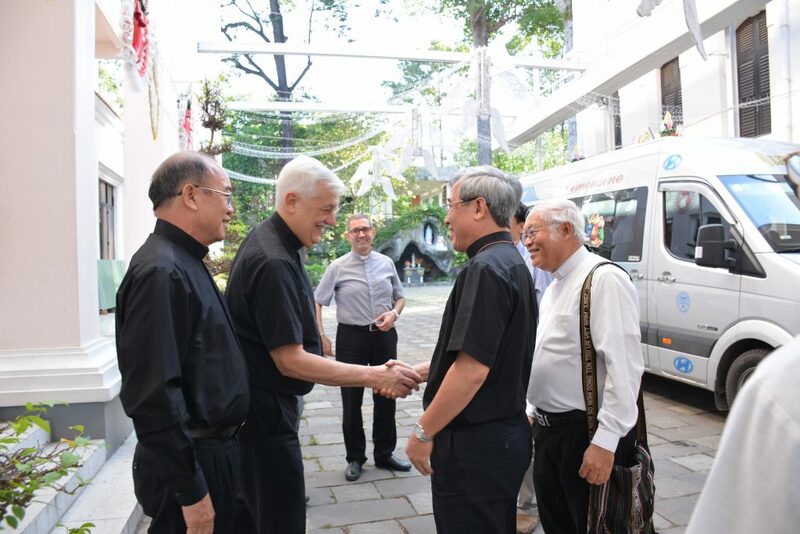 Next, Fr General visited Dac Lo Residence, the first Jesuit House of the Province. He met members of the community and was shared about a brief history of the establishment of the House by Fr. Vincent Dinh Trung Nghia, SJ. Dac Lo Residence is now becoming a pastoral centre which offers various programs, such as the Ignatian spirituality, education, culture and communications. 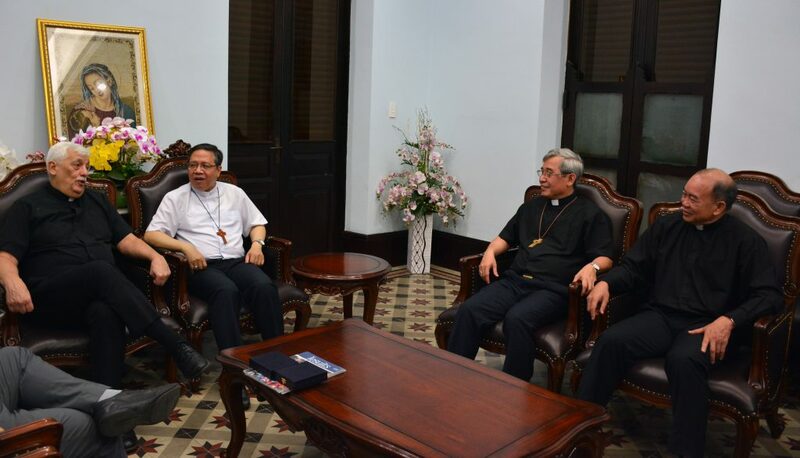 In the afternoon, Fr General met the Provincial and his consults. Tomorrow, Fr General will meet Vietnamese scholastics and attend a cultural night hosted by the Vietnamese scholastics and brothers.